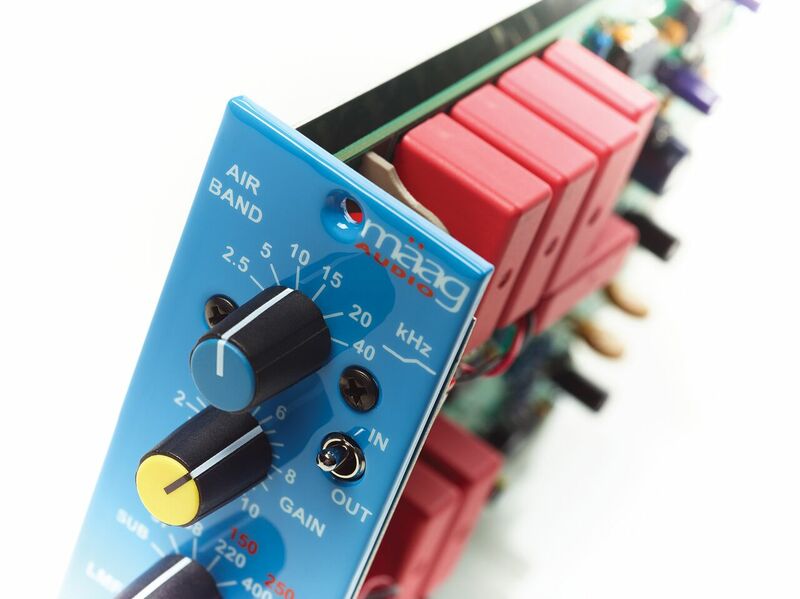 The Maag Audio EQ2™ (500 Series) is a no compromise one channel 2 band equalizer with AIR BAND®, Low Mid Frequency (LMF) bell boost from SUB to 1.4 kHz, and an INPUT ATTN to control down to –12 dB of attenuation. The EQ2’s AIR BAND® is equipped with an additional sassy frequency selection @ 15 kHz, making the EQ2 hard to resist in any situation. 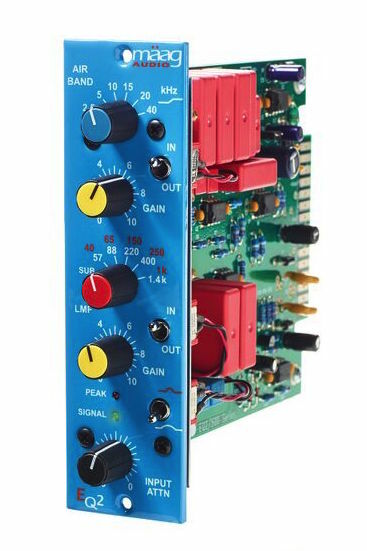 The LMF provides both tight or wide bell curve options to dial in the perfect amount of warmth on the 2-bus. When it comes to tracking, the EQ2 will quickly become your favorite preamps’ “better half” by controlling the input (INPUT ATTN) (great for correcting over driven mic preamp transformers) before eq’ing with the versatile AIR BAND and LMF. The EQ2 is compatible with the API 500-6B lunchbox® and 500VPR rack systems and any other 500 Series spec rack.